The Cantonese spelling of Shaolin is Sil Lum Fa which means " Young Forest Method". Our style, created by Grand Master John M. Stover, is spelled Su Lum Fa (an off dialect) to show that our style is not a pure style. Su Lum Fa is an eclectic art that has derived over a period of at least 600 years with techniques influenced by Chinese, Korean, Japanese, and Okinawan styles. The Art descends, as many Asian arts do, from the Shaolin temple, or more accurately, one of the Shaolin temples. I have been able to trace my master-to-headmaster origin back to the late 1300's. Our style was originaly called "pa ming ch'uan" which means eight ram's head fist, a specific combination of the five animal styles leopard, tiger, crane, dragon, and snake which the Shaolin is famous. Its specific headmaster can be traced with certainty only as far back as 1679 to Honan Province and a man named Yong Ho CHIN. (The surnames are placed last and capitalized in the European style to avoid confusion). Master CHIN is considered the modern founder of the style which was then called Shaolin-szu tang-su-dao pa ming ch'uan. He passed away in 1751 handing the leadership to his son Lee Ho CHIN, who resided in Chekiang Province. From three centuries in China, the leadership passed to one of Master CHIN's students, a Korean named Lee Chi KOOH (pronounced Wang). This headmaster settled in Ingei City, central Korea and mixed his art with his native tae kyon. There, the art was called "so rim sa churl kwon do tang soo do", substituting "churl kwon" (iron fist) for the ram's head. Next in succession was his son Kin Chi KOOH of Yong Dong Po, Korea. Master KOOH had studied Korean arts and in his later years traveled to Japan for cancer treatment. It was there, in Mishima-shi, Shizuoka-ken, where Master KOOH met an American serviceman who already had an extensive martial arts background, Dr. Albert Curtis Church, Jr.
Master Church had studied daito-ryu aiki-jujitsu as a boy under Sagaru Yokohto, who was a student of Sokaku Takeda, and motubu ha shito-ryu under both Siyogo Kuniba and Teruo Hayashi to the level of 5th Dan. In 1967, his former instructor of the now shorinji-tetsu-kempo, Master Kin Chi KOOH, called Master Church back to Japan since he knew that he was dying. With the presentation of a 30-foot-long scroll of successorship, Master KOOH passed the nearly 600-year-old style on to Dr. Church. Master Church then remained in Japan for two years studying soke Kuniba's personal styles of iaido, judo and jujitsu as well as hakko-ryu jujitsu under founder Ryuno Okuyama. At that time Master Church was also appointed Shihan "Master" in motobu ha shitoh-ryu by shihan Hayashi. With soke Kuniba's review of the scroll of succession and his sponsorship to Japanese martial arts authorities, Master Church's newly acquired style was renamed in Japan as an art of Chinese-Korean-Japanese origin and was renamed kamishin-ryu "Godly Heart Style". The title was of course quite applicable since not only was it derived from the wording in the scroll, but it also reflected Master Church's name and the fact that he had a doctorate in theology. The Japanese martial arts authorities had chartered the "new" old style with the provision that it be taught in ryugi for 10 years in order to develop its components in greater depth. In 1978, the style officially came together again and Master Church began to teach the composite form originally known as in Japanese translation shorinji-tetsu-kempo ("Young Forest Temple Iron Hand Fist Method").
" THE PREVIOUS HISTORY WAS TAKEN FROM SHIHAN TONY ANNESI. SHIHAN ANNESI WAS ALSO A STUDENT OF DR. ALBERT CHURCH AND SERVED AS SOKE- DAI OF KAMISHIN-RYU FROM 1984-89. SHIHAN ANNESI WAS GIVEN ACCESS TO KAI FILES AND SHIHAN CHURCH'S NOTES. " Grandmaster Church, who passed away in 1980, was the direct instructor of the creator ("soke") of our style, Su Lum Fa. Master John M. Stover opened Stover's Martial Arts Academy in Wilmington, NC in 1970. 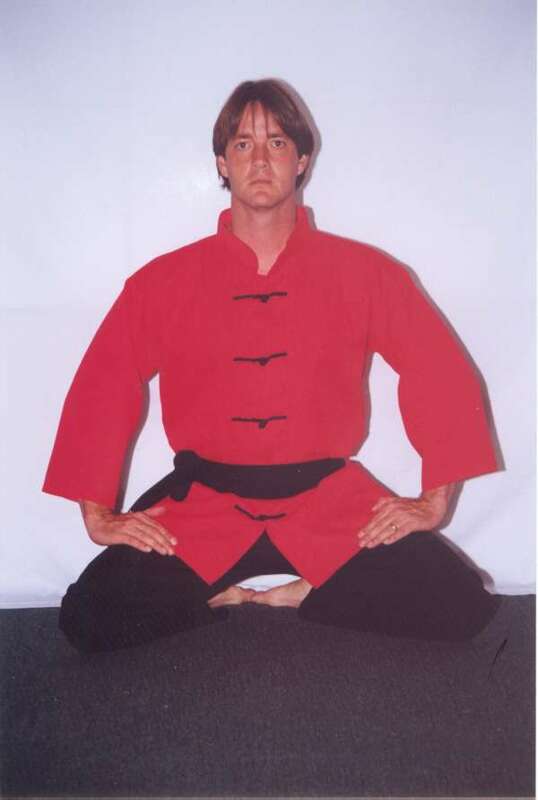 Shihan Stover is the President/Director of the Shaolin Kempo Karate Federation, International and Director of the International Wu Shu Society of Wilmington NC. 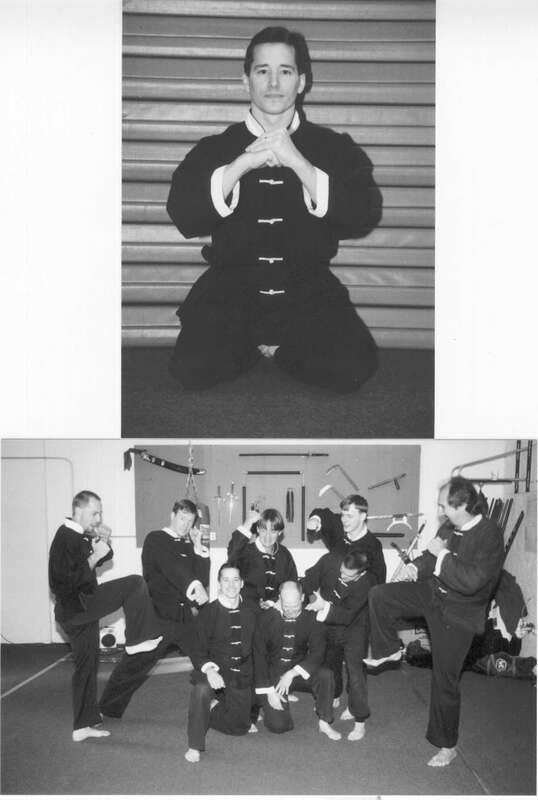 In 1975, after establishing the International Wu Shu Society Grandmaster John Stover created "Su Lum Fa" Kung-Fu. The Su Lum Fa system was developed from the influence of Li Ki Kung-Fu, Chun Li Kung-Fu, Shaolin Kung-Fu, and Fu Jowel Pai Kung-Fu. Grandmaster Stover still continues to rank and promote all Black sash degrees at Crisp Martial Arts. In the summer of 1981 my current sifu, Kim Crisp, began training in Su Lum Fa under Shihan John M. Stover. In July of 1985, sifu Crisp was promoted to First degree blacksash. From there, sifu Crisp started teaching his own classes at various locations such as the YMCA, Community Arts Center and the Brigade Boys Club, while continuing to study under grandmaster Stover. After receiving his 2nd degree in Su Lum Fa Kung Fu, sifu Crisp cross-trained with grandmaster Stover to receive his blackbelt in Shaolin Kempo Karate. He rejoined the school in 1989 where he taught both Karate and Kung Fu classes. In August 1994, sifu Crisp opened his own school, Crisp Martial Arts Academy located in Wilmington, NC. As of 1997, sifu Crisp is ranked as a 5th degree blacksash in the Su Lum Fa style. He continues to teach the majority of the classes at Crisp Martial Arts Academy. He still trains with grandmaster Stover, as well as various top martial artists through professional seminars. Bill "Superfoot" Wallace, Joe Lewis, Rickson Gracie, Wally Jay, Remy Presas, and Ted Wong are just a few of the many talented martial artists that sifu Crisp has gained knowledge and hands on experience. For those that remember the "Teenage Mutant Turtles" movie, you may like this picture of sifu Crisp. As for my experience, I began training with Stover's Martial Arts Academy in the fall of 1980. As a young teenager, I did not value the importance of the Art and only trained for about a year and a half. In August of 1992, I began training at Stovers Martial Arts once again. This time, I was determined not to quit as I had before. My sifu (instructor) was now Kim Crisp. After a 10 year break, I had to start learning from scratch. Sifu Crisp helped me learn the meaning of the martial arts by helping me understand the hows and whys of each technique. I have also trained with Renzo Gracie, Bill Wallace, Willie "Bam" Johnson, and a few other less known martial artist from around the United States. I feel that we can all learn something from different styles and ways. On November 18, 2000, after eight and a half years of training under Sifu Crisp and grandmaster Stover, I received my second degree blacksash in Su Lum Fa Kung Fu. The martial arts is now a way of life for me and I plan to spend many years perfecting my technique and adapting to new ideas, ways, and styles.